Jerry Lee Shuck of Edgar, Nebraska departed this life on Sunday, February 3, 2019 at the age of 79. 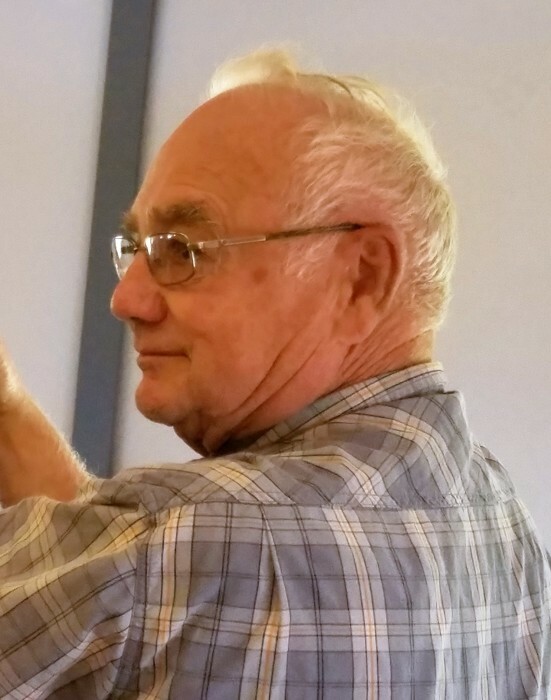 Throughout his life, Jerry was known for his volunteer work. In Owasso, he was a member of the Volunteer Fire Department, assisted with the Boy Scouts of America, coached little league baseball, and served on the board of the Owasso Parks & Recreation. In Nebraska, he was a charter member of the Sons of the American Legion Post 248, a member of the Edgar/Ong Volunteer Fire Department, and a member of the Ong United Methodist Church. He was also well known for his generosity and willingness to help family and friends. He enjoyed stock car racing, flying small planes, reading, crossword puzzles, and spending time with those close to him. Jerry was preceded in death by his parents and his siblings; Wendell, Robert, Gordon, Jim, Gloria, and Leah and Ronald who both died as infants. In addition to his wife of 59 years, he is survived by sons Dan (Nora) Shuck of Yuma, AZ and Steve (Carla) Shuck of Beatrice, NE, and his grandchildren: Ashley, Ramsay, Courtney, Garrett, Calvin, and Anthony. Jerry was cremated. As per his wishes, there will be no services. Memorials may be given to the family for a charity of their choice. Condolences may be sent to the family at wmsfh.com. Williams Funeral Home of Edgar, NE was in charge of the arrangements. Williams Funeral Homes, Edgar Chapel.